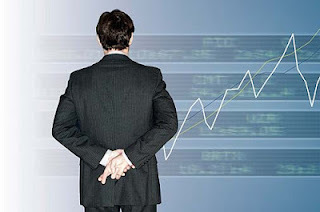 The foreign exchange market is the largest financial marketplace in the entire world. The stock market pales in comparison to the incredible amount of daily turnover in the fx space. Currently, there is about $3 trillion in turnover per day in the foreign exchange market, while the total daily turnover at the New York Stock Exchange is a measly $50 billion, on average. In fact, if you added up the daily turnover at every major stock exchange in the world, it would still fall far short of the average fx turnover. Most investors have never heard of the fx market due to its relatively new arrival to the retail investing world. Until the internet boom in the late 90’s, the fx market was inaccessible to most investors due to incredibly large minimum account requirements and minimum contract sizes. Only very wealthy individuals, investment banks, family offices, and hedge funds were able to be active in the market. The internet boom, however, has created a new world. Today, online retail fx brokers allow traders to open accounts with as little as a few hundred dollars. FX trading involves buying and selling currencies. If you have ever travelled internationally, you have traded fx. For example, when a person travels to Mexico, they will inevitably exchange U.S. dollars for Mexican pesos in order to purchase goods and services in Mexico. When this tourist converts dollars into pesos for vacation, he is essentially selling U.S. dollars and buying Mexican pesos. In fx terms, this person has just sold the USD/MXN currency pair, which means our tourist friend has sold U.S. dollars in exchange for Mexican pesos. In the fx market, the most commonly traded currencies does not include the Mexican peso. The bulk of activity every day takes place in the following major currencies: U.S. dollar, Japanese yen, Swiss Franc, Euro, and British Pound. These currencies always trade in pairs. It is impossible to buy a currency without simultaneously selling another. Therefore, these currencies trade in pairs such as the EUR/USD, GBP/USD, EUR/GBP, etc. If a trader buys the EUR/USD currency pair, then he has sold dollars and bought euros, which means he has went long the EUR/USD currency pair. Therefore, if the euro now appreciates versus the dollar while this trader has his long position in place, then this trader will profit when he liquidates the position by selling euros and buying dollars once again. Bob buys 1 standard contract (100,000) EUR/USD when the pair is trading at 1.2500.
move. During rather volatile market conditions, EUR/USD can easily move 200 basis points in a day or two. Today, most retail brokers will allow private retail traders to control 1 standard contract with as little as a $2,000 account. To get started trading foreign exchange, simply visit one of the many online retail forex brokers, download a simulated paper account, and begin practicing on fake money to get a strong foundational understanding of how the market works, and how to trade the world’s largest financial marketplace. Great post. I was checking continuously this blog and I’m impressed! Extremely useful info particularly the last part Usmiech I care for such information a lot. I was looking for this particular info for a very long time. Thank you and good luck.